This last year has proved to be the busiest yet for the ten-year old business Venture Ski , run by Mark Livesey and husband and wife team Rachel and Peter Duke. This high-end, winter and summer tour operator boasts six impressive chalets and offers ski holidays, cookery classes, an on-site crèche, spa facilities and lively après ski entertainment in the gorgeous Sainte Foy resort, a 'hidden gem' in the French Alps. Last winter the company expanded their core business to open up a public bar and restaurant inside newly built Black Diamond Lodge. The bar and restaurant accounts for around half of the Black Diamond Lodge revenue. It takes around 30 staff to keep the entire operation ticking over in the busy winter months with only a team of four required during the summer months. Black Diamond Lodge uses freetobook for its booking engine and is open year-round. Black Diamond Lodge Director Rachel Duke hadn't worked in the holiday or accommodation industry before joining Venture Ski but has an extensive catering background and also an MBA under her belt. "The marketing side of the business is my forte," says Rachel. "We have now successfully tapped into the European market using the OTAs including booking.com. Overall we keep marketing costs low, relying heavily on social media tools including TripAdvisor and Hootsuite to promote our business." 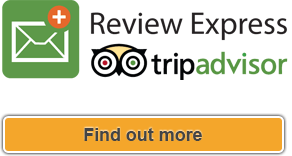 "I have trained our front of house staff to use freetobook so they can add in any extras as the guests request them, all of the freetobook billing looks so professional." 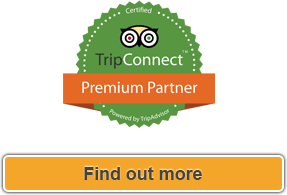 "We have recently started using freetobook's Stripe online payment system and we love it. It's really simple to use and fully automated, storing card details (encrypted) to use again and emailing the receipt through to the guest." "I have to say we have found it to be less cumbersome than PayPal which in my experience had around a 40 percent payment failure rate. Stripe has just also dropped the cost per transaction for European credit cards from 2.5% to 1.4% (+ 20 pence) which is even better news." "As a Company Director, I need to focus on strategy rather than the minutiae. Making all of our technology connect, from the online room bookings to the payment systems, makes the most sense." 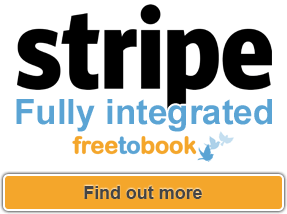 "We have recently started using freetobook's Stripe online payment system and we love it..."